Dynamics 365 for Talent is a cloud-based human capital management solution. It helps organizations strategically attain, empower and optimize their talent to achieve high impact sustainable results. Dynamics 365 for Talent helps fulfill the potential of your workers, while reducing the cost and complexity of administrating worker and organizational information. You can empower employees to enter transactional data, so you can focus on HR strategy. 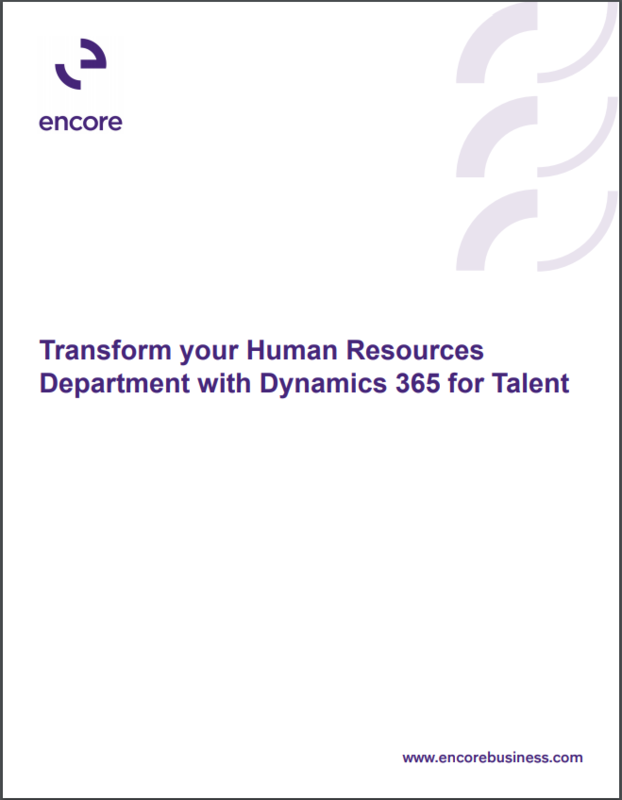 This guide is a high-level read about the functionality and capabilities of Microsoft Dynamics 365 for Talent. Included are screenshots from the Talent application so you can see how it helps recruits, new hires and HR professionals experience an optimized process. If you’d like to connect with us about Dynamics 365 for Talent, please reach out.